Kerala offers an uncommon chance to encounter unfathomably splendid backwaters which contain a mind boggling plan of salty tidal ponds, fabulous lakes and channels. 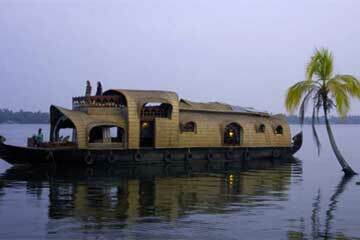 The most overwhelming approach to encounter the Kerala backwaters is the houseboats in Alleppey. There is a Kerala that lives along these backwaters throbbing with its own particular extraordinary culture. For you, as a guest to Kerala it can be breathtakingly fascinating and sporadic experience simply skimming in the lagoons of Kerala. 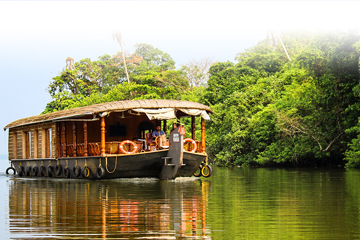 Checkout out our Kerala houseboat tour packages. Stay in the houseboat covers skimming over the stunning Kumarakom and Alleppey backwaters. The wedding trip encounter fills this need of getting the chance to be particularly acquainted with each other in a nice zone far from the murmuring about of standard ordinary nearness, ideally in a dumbfounding and superb setting to better-draw in adoration to grow. What better than the ever wonderful houseboats. 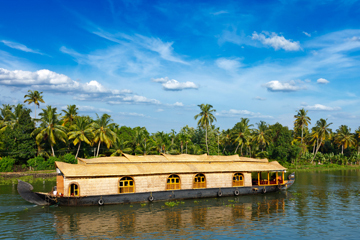 An experience along the palm-flanked directs of Kerala in a gorgeous houseboat is the best way to recognize your unique first occasion together. In a world gifted with grandness, you will skim past old Chinese nets, water lilies, rice fields, beautiful Kerala houses and coconut trees. A guided visit down the lagoons would give you an entire and overwhelming understanding of the back waters of Kerala and will uncover some of the beguiling confirmations about life. The houseboats are called Kettuvallams. These vessels are made by weaving wooden sheets. Uncommon as it might sound, no nails are utilized while making Kettuvallams. The wooden sheets are hardened with coir ropes and a while later secured with dull gum made using cashew nutshells. Houseboats are the pride of Kerala. We have outlined our Kerala houseboat packages particularly for newlyweds and friends looking for an extraordinary escape. Green is the shade of Kerala. You will see greens in every bit of Kerala. The state has been delightfully keeping up its green covers reliably. Kerala gives you a loosening up learning and additionally a fun experience, especially when you travel. When you consider houseboats, you consider Allepey. Allepey is acclaimed for its backwaters, sanctuaries and houses of worship, conduits and its lavish green scene. A houseboat encounter makes a Kerala visit finish. Allepey is befittingly called the Venice of the east. The streets in Alleppey are on a particularly essential level the same as the ones in Venice. 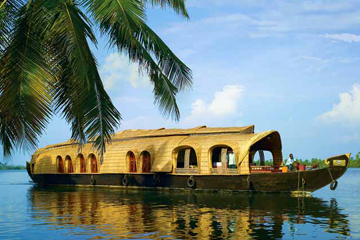 It is a champion among the most enquired about Kerala houseboat tour packages. Alleppey and Kumarakom are places that sprinkle up town life. Lakes and tidal ponds offer bewildering settlement on traditional houseboats. On the coasts along the unfathomable degree of back waters you can encounter the most amazing presentation of the world. The rice fields, towns, rich green shores will stun you. In the evening times, the cool, quiet and whirling environment makes your minute unprecedented. Kerala is a prime destination for eco-tourism, backwaters, national parks, hill stations, etc. The Gods Own Country will be the best place to be away from hustles and bustles of your life. The hill stations of the state are covered with mist and the cool air surround you will make you experience the heaven on earth. 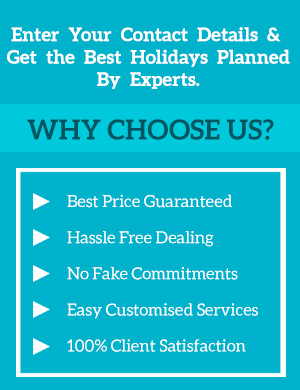 Find the Kerala houseboat packages you are looking for at Poppins Holidays.